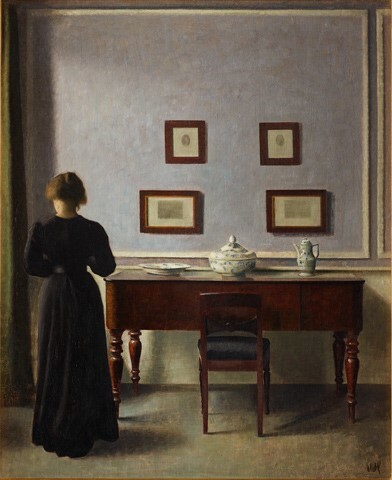 After attracting large crowds and winning critical acclaim in New York, the exhibition Painting Tranquillity about Vilhelm Hammershøi continues its tour. The Art Gallery of Ontario in Toronto is currently housing the largest exhibition of Hammershøi’s work ever seen on Canadian soil. Interior with Four Etchings, 1905.